Earlier I admitted that my well of creativity was running dry and that the lack of news (and influx of non-news being portrayed as news) was about driving me out of my mind. So, I asked you all to have mercy on me by giving me questions to answer and thus dragging me out of my pit of boredom. And you did! I’ll answer the questions I’ve received so far in this post, but feel free to ask even more questions in the comments section of this post. 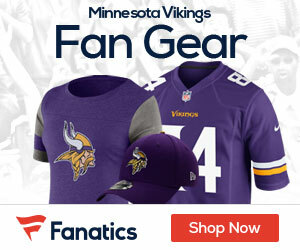 @NUMBER1VIKESFAN asks: yu think ray edwards will stay in minnesota? It is hard to say for sure, but I do think that with each passing day it becomes more and more likely that Edwards stays for 2010. The Saints and the Eagles were rumored to be willing to give up a first rounder to obtain him, but the Eagles have since traded for Daryl Tapp and agreed to a sizeable contract with him that included a $3 million signing bonus. I think they’re out of the running now. The Saints could still be involved, but a lot of hurdles would stand in the way of that happening… especially if the Vikings are not willing to get the #32 pick in exchange for a starting defensive end. Most of the other teams in need of a 4-3 defensive end have higher draft picks, meaning they’re probably less likely to part with said draft pick. In my opinion, giving up a first rounder for a semi-proven but still youthful defensive end is a solid move, especially when compared to giving up a first rounder for a completely unproven defensive end. So there is the possibility that somebody tries to sign him to an offer sheet. The bigger question is whether or not Edwards will be around come 2011. Both him and Brian Robison are due to become free agents after this season. In a nutshell, yes, I think he’ll be on the team this season. Mike asks: What is the deal with Anthony Herrera? Very little is ever said about him at RG. I am more content with Herrera than most of you, from what I’ve read in the comments sections. From what I have heard, the Vikings are content with their offensive line as a whole and think they will only continue to improve as they play side-by-side. Herrera’s play suffered in 2009, after what I thought was an almost Pro Bowl caliber season in 2008. In my opinion, this can be attributed to the down grade from Matt Birk to John Sullivan. Even Hutchinson looked less dominant when faced with a nagging injury (which Herrera also had to deal with in ’09) and the absence of Birk. I think if Sullivan improves or if an upgrade is found at the center position, then fans will be far more pleased with the middle of the O-line in 2010. With that being said, don’t scratch guard off your list of possible needs addressed in the upcoming draft. Neither Hutchinson nor Herrera are spring chickens and Hicks left in free agency. Perhaps the best way to upgrade the center position is to draft a dominant guard and slide Herrera into center, which he is capable of doing. Jake asks: Why is the NFL just now talking about changing the overtime rules and why do i get the feeling that they won’t pass the vote to change anything? When trying to decipher the thoughts of the NFL’s elite, it is important to keep in mind that the league is first and foremost a business. Furthermore, they’re a business that heavily depends on television contracts. Have you ever been watching an overtime game and then all of the sudden they cut away and Terry Bradshaw tells you, “we apologize, but due to NFL rules we can no longer televise this game and have to show you the next one. We’ll keep you updated.” Then you continue to watch Terry’s face as he watches the game and basically gives you the play-by-play? I have. Instances like those are far and few between, but when they do happen I think everybody involved is embarrassed that they can’t even figure out a way to show the game winning field goal. The overtime rule being proposed will essentially guarantee that overtime games go on for a longer period of time and thus increase the odds of these instances taking place. However, with the generation of blogs upon us, sites like PFT have been able to spoon feed the negatives of the current rules to the masses and now the business that is the NFL is seeing their customers get more and more frustrated by the current rules. In addition, the advent of complete coverage from sources such as Sunday Ticket or Game Center is decreasing the negative impact seen by embarrassing instances like the one I depicted above. Honestly, I think it will pass this year… only a few months too late for the Vikes, of course. Fragile Freds asks: Freds would like to know who Mrs. W thinks the Vikes should take in rounds 1&2. Mrs. Warwas isn’t here at the moment, but I’m going to go ahead and give this a stab. I’ll be curious to show it to her and get her take. It is hard enough to guess what’s going on inside her mind when it comes to things like dinner menus or the status of the toilet seat, so guessing about her draft wishes will be an interesting challenge. The first round is an easy one. Mrs. Warwas is a lover of animals and especially dogs. She likes cartoons, too. So, let’s see here… cartoon dogs… Garfield’s friend? No. Underdog? No. Snoopy? Yes! I’ll bet she’d love to give treats to Snoopy! So, with the above logic, Mrs. Warwas will select Charles Brown, the offensive tackle from USC. That quarterback was Colt McCoy. So there you go, Freds, I think Mrs. Warwas picks Charles Brown and Colt McCoy. How do you get your site so popular and why are the vikes so content with their safeties? The secret to blogging success is all about being good looking. In all seriousness, Coolio, if you want to talk about advice for your new site, then email me at adam@vikingsgab.com, I’ll be glad to do so. As far as the safeties go, I’ll try to address that soon in my next Q&A post. Adam, I see you have Bulaga up to second in your mock draft. Is there some connection with Lions brass and Iowa or just an educated guess? I also see you have Claussen going ahead of Bradford, most mocks have Bradford first, what gives? Coolio, I do check your site out every day but have only commented once or twice. Nfl network just said it will take Tebow at least 4 years to become just a starter in the nfl. That is a long time to wait. Nfl network liked this guy much better…john skelton qb fordham. I saw video on him, he is a big qb with one hell of a arm. Adam do you know anything about him? If a team, any team drafts a QB in the first or second round, pays out what will be a significant bonus, and EXPECTS no return because they plan to let him develop for 4 years. They are stupid. Let’s assume that QB is ready to play in year 5, next thing you know, this guy is ready for his second contract and he still has proven nothing yet. So you risk two contracts? Fred doesn’t think so. NFL teams can’t afford to have a minor league development philosophy with their top 2 rounds. They need to produce quick. Lower picks, maybe so. This is why Fred says Tebow is at least a 3rd rounder. Limited bonus, limited risk financially, he gets to develop and the team isn’t stunk financially if he flops. How many years did Nfl Network say Tarvaris would take… Just wondering??? Tjax is fully developed. It’s not going to get any better than what it is. Sheesh! Sad but true. Hey Charlie, you back to work now? I must concur with my old pal the fragile one on Tjax. Now Freds, you drinking too many Colts again?? T-Jax is the man. There was a guy a couple years back with Colts in his name and he was from where Ole hangs his hat and he threw like 50 TD’s in one year, yet I don’t think he has played much. Bradford is close to Bradshaw and that guy won some Super Bowls, yet Clausen could be a pickle, but one has to wonder if it will be dill or kosher?